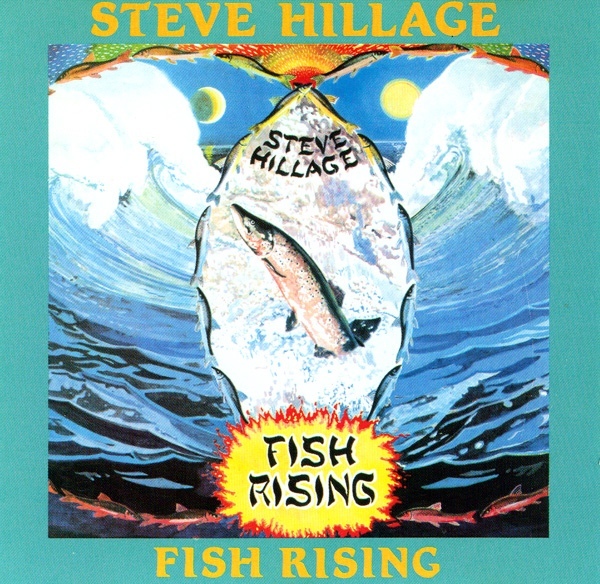 There's a lot of historical information missing if you chart the evolution of Gong from You into Shamal and Steve Hillage's Fish Rising. Once Daevid Allen left Gong (as recounted in Gong Dreaming 2) the leadership of the band essentially fell to Steve Hillage and the band continued live, performing works from the last two Gong albums and the formative material that would end up being the lion's share of this brilliant debut. One thing that has changed is that even though the lyrics here are spiritually focused, they're far less buried in metaphor than they were on the Gong albums and in many ways this could be an early herald of the new age era. I believe some of this material was also inherited from the Khan band whose brilliant keyboards player Dave Stewart ended up guesting on this, making this arguably Gong's best line up (there was also another keyboards player in 1975 who was great: Patrice Lemoine). If I recall correctly, even "Lunar Music Suite" from L was played in nascent form during this era. As the year evolves some of the Shamal material comes into play and by that time Hillage was on his way out to begin a very legendary solo career of his own. This album was the beginning and it's really no less important than the trilogy that came before it. After this album Steve would get an entirely new and equally amazing band of his own, one that can be seen a couple years later at a tremendous Rockpalast gig playing music from this and his Todd Rundgren-produced follow up L.